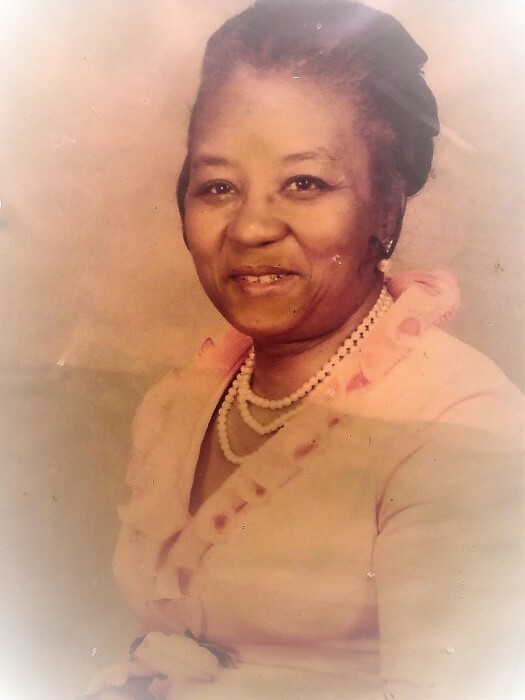 Mrs. Vivian (Farris) Austin, a resident of Booker Avenue, South Bend, Indiana passed from this life at 8:50 p.m., on Tuesday, January 22, 2019 at the age of 97 years. Vivian's life began on October23, 1921 in Altheimer, Arkansas when she was born to the union of Abraham and Luveda Farris. In 1936 she and James Austin "Pin Head" were united in marriage. In January, 1939, coming from Altheimer, they relocated to South Bend. She had been employed in the Laundry Department of F.W. Means. She loved gardening and also was a member of Greater Friendship Missionary Baptist Church. Family members who survive to cherish her memory include one son, James (Debra Louise) Austin Jr., South Bend, Indiana; 22 grandchildren; 39 great-grandchildren; and one sister, Ernestine Freeman of South Bend. Preceding her in death along with her parents; was her husband, James who passed away in 1968; two sons, Clyde Austin and Clarence Austin; along with six sisters; and three brothers. Services for Mrs. Vivian Austin will be held on Saturday, January 26, 2019 at 10:00 a.m., at Greater Friendship Missionary Baptist Church with Reverend Larry Davidson officiating. Interment will follow in Chapel Hill Memorial Gardens, Osceola, Indiana. Friends may visit Alford's Mortuary from 5:00 - 7:00 p.m., Friday, January 25, 2019. The family would like to give special thanks to Heartland Hospice.